Simply click Sign Up, as shown below, and sign up with your email account. Sign up is free and you will get a registration bonus*. Click SHOP NOW button and you will be transferred to the merchant's website. Just shop online as usual and cash back will be posted into your account after you successfully place the order. Please note the product and service exclusions for each merchant in the terms and conditions on GoCashBack's merchant store page. 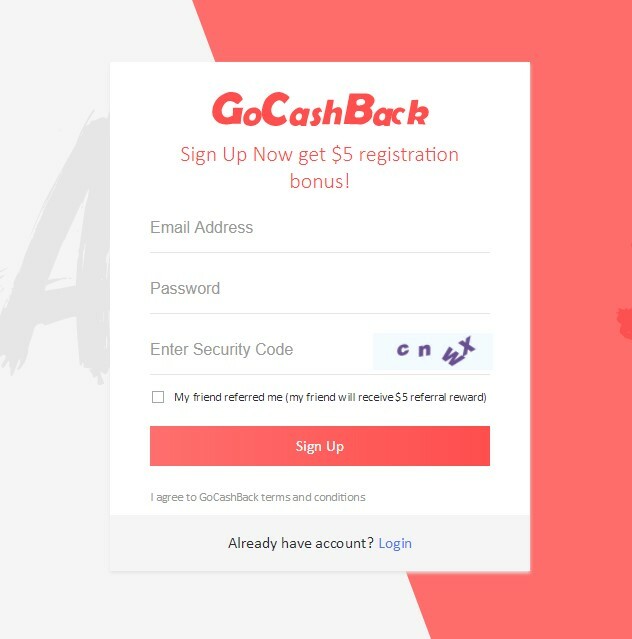 You must Login to receive cash back every time you shop. **Purchases you make at GoCashback stores are only credited if you start your shopping session at GoCashback.com and click through a store via GoCashback link or use the GoCashback toolbar or app. 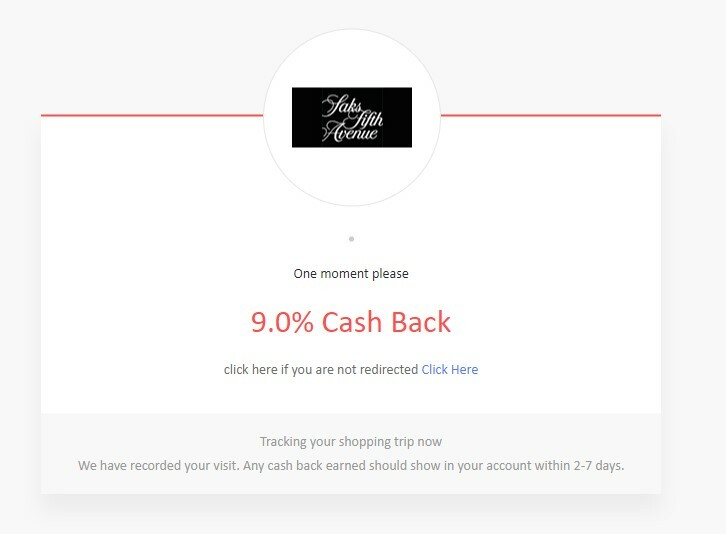 As much as we'd like to give you cash back even if you do not start shopping via a GoCashback link, we have no way of proving you are our member to the store without observing your click. 1. If you have items in your shopping cart, you may not earn your cashback until you completely empty your shopping cart and start a new shopping session via the GoCashback link. 2. If you click through GoCashback and make a purchase, then go elsewhere on the web and return to that store to make a second purchase, your second purchase will not earn a cash back reward. Please remember you must click through a GoCashback link every time you shop at a store site, in order to receive cash back. 3. If you click through GoCashback and make a purchase, then go elsewhere on the web and return to that store to make a second purchase, your second purchase will not earn a cash back reward. Please remember you must click through a GoCashback link every time you shop at a store site, in order to receive cash back. 4. If you use multiple windows on your browser, the window in which you shop at the store must have come from a GoCashback link. Also, while virtually all product purchases at the stores are eligible for cash back, there are a limited number of products that do not qualify for cash back. Please check terms and conditions on the merchant’s store page on GoCashBack to confirm before your purchase. 5. Please do not using any 3rd party coupon for additional discount because it might negate the cashback on your order. 6. Please note the product and service exclusions for each merchant.